Ted Bumstead often comes across wildlife while he’s on patrol in Yavapai County. But usually, it’s too late to help. This time was different. 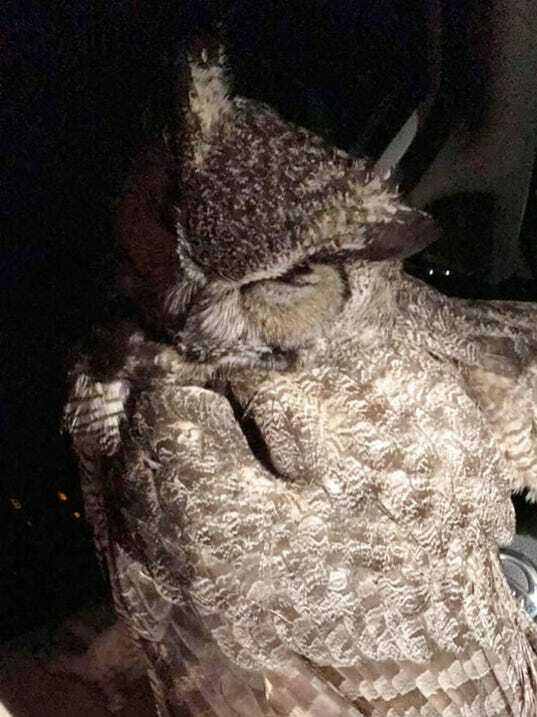 PHOENIX — A would-be Good Samaritan became trapped in her car Monday night after trying to rescue what she thought was an injured owl, Arizona officials said. The woman was driving just north of Tucson when she spotted an owl, officials said. The owl appeared to be hurt, so the woman placed the dazed bird in her car to seek help. Soon after, the owl latched onto the driver and the car’s steering wheel, refusing to let go. The owl, a great horned owl, appeared to have been hit by a car when the woman found it, Hart said. The woman’s mother contacted the Game and Fish Department after the woman was trapped in the car, Hart said. The agency suggested that she douse the owl with water. But the owl drank the water and kept its grip on the woman and steering wheel, Hart said. The owl eventually let go on its own and hopped out of the car, appearing to be in good health, Hart said. The woman’s mother saw the owl again Tuesday in the same general area, Hart said. 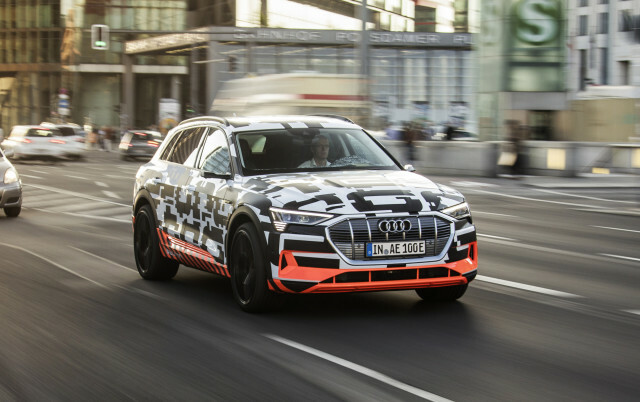 At its annual meeting Wednesday, Audi announced an ambitious plan to build 20 new electrified cars by 2025, most of them battery electrics,. The company says it will invest $47.6 billion (40 billion euros) into these electrified cars, a new app platform for its cars, a new fleet of autonomous vehicles to be launched in 2021, and into creating sustainable factories. Audi said the investment represents about two years of revenue for the company. As a first step, the company announced that it will reveal the production version of its new e-tron electric SUV on Aug. 30. It is reported to have a 300-mile range and slots between the size of the current Q5 and Q7. It will roll out with among the fastest charging capability of any car on the market. In 2020, Audi also plans to introduce a high-performance e-tron GT sedan and a compact car, followed by two more electric SUVs in 2021. Altogether, Audi plans to sell 800,000 electrified cars by 2025. The company plans to offer a new electronics platform in its cars that will work somewhat like Tesla’s over-the-air updates and allow users to pay for and download apps that will enable features such as blind-spot monitors or digital infotainment features such as Waze or Tune-In radio after the car has been delivered. The system will be compatible with other vehicles from the Volkswagen Group so that any apps you’ve purchased will work on other cars you buy from any of the companies. Audi sees the digital offerings as a new profit center. Audi will also build a dedicated vehicle for its autonomous car-sharing program called the Audi Aicon. The car is supposed to appear and go into service in 2021.